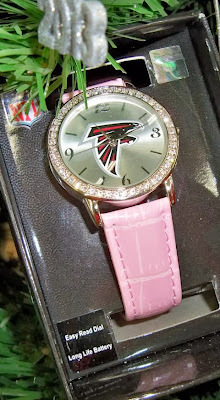 The officially licensed NFL women's watch for the Atlanta Falcons is a bit more bling-tastic! Women's watches get pretty fancy. On Amazon, you can even get a Ladies NFL Atlanta Falcons Pearl Watch . 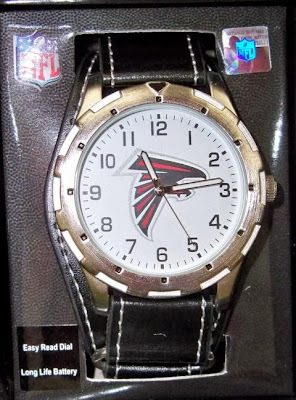 Team watches make great gifts because they allow fans to show support even when they are environments where jerseys, caps, and other team gear are inappropriate. For example, you can nearly always wear a team watch to work.